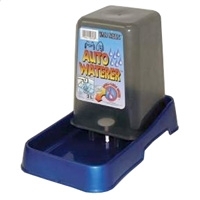 One of the most innovative watering appliances on the market. 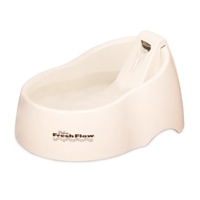 The Freshflow offers fresh flowing water 24hours a day. 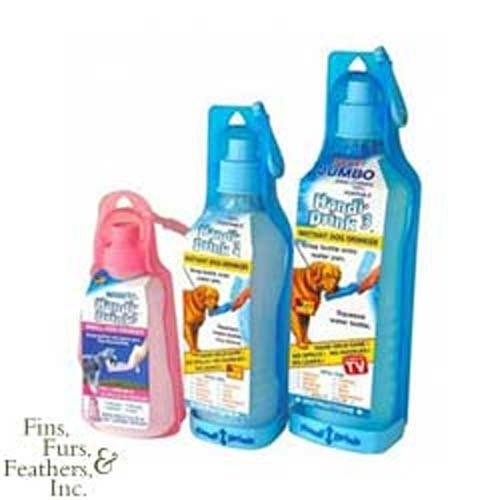 Adds oxygen water while simultaneously it filters, cools, reduces odor and improves the taste of the water. 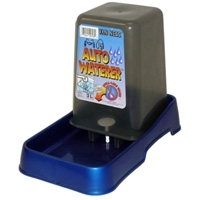 It includes and on/off switch with low voltage safety system and reservoir automatically adds water as needed. 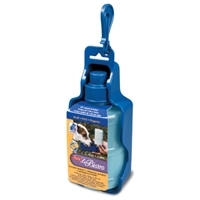 Kit includes two replaceable charcoal filters for removing contaminates. 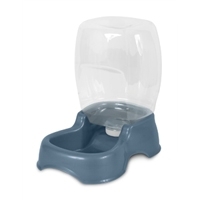 This medium size waterer is great for cats & small dogs. 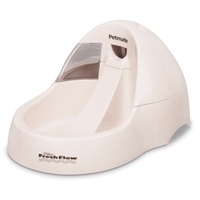 Petmate’s Ultra Bubbler™ watering system is a refreshing way to keep your pet hydrated. 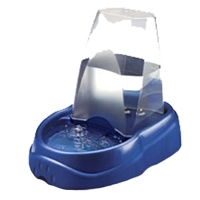 Ideal for multi-pet households, this waterer has a bubbling effect that encourages pets to drink. As the water gets low in the bowl, the Ultra Bubbler automatically oxygenates and replenishes your pet’s water supply. 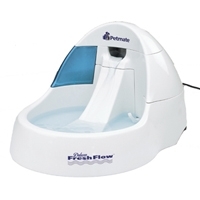 Features a clear water reservoir for monitoring water levels, includes an AC power cord and is easy to assemble. 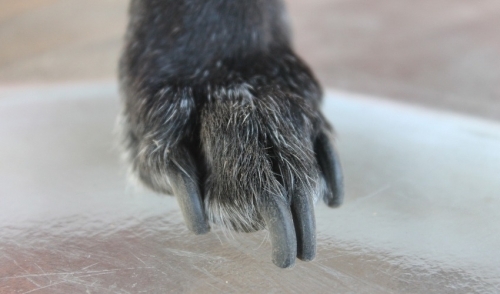 Available in one size and color. 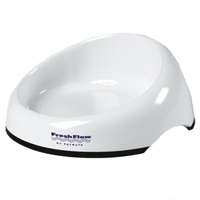 Innovation and style abounds with this fresh flow dish. 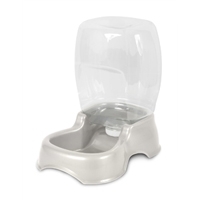 Durable molded rubber is attached by tongue and groove to prevent bowl from "walking" across smooth floors.